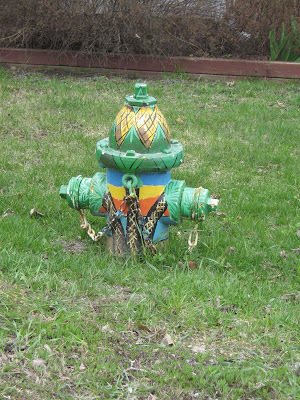 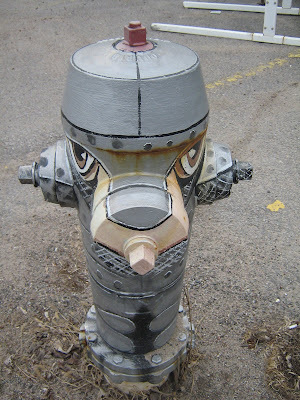 Penetrating Insights: Fire Hydrants of Tweed! 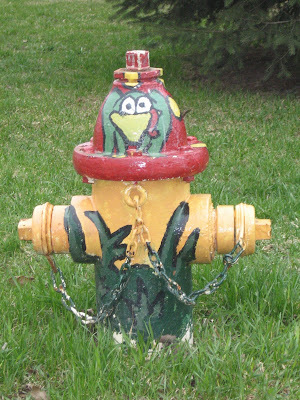 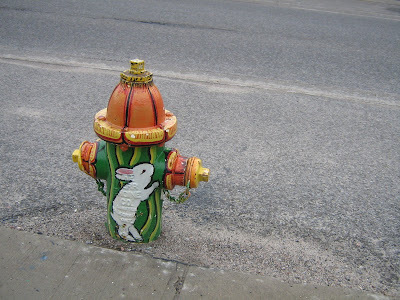 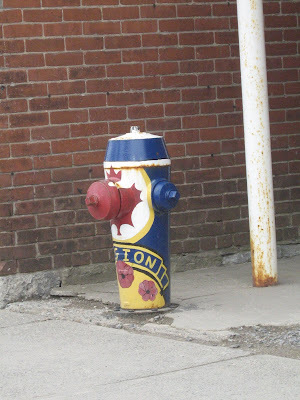 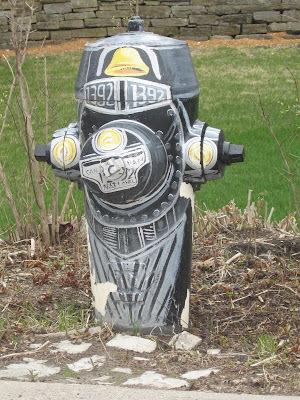 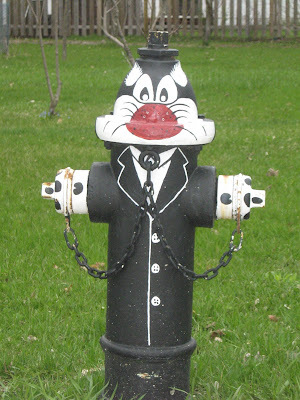 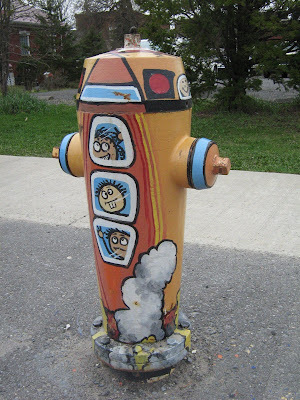 I spent the weekend visiting friends in Tweed, Ontario & was surprised to see that all the fire hydrants there have been painted over with funny designs, everything from animals to robots to rockets to cartoon characters. 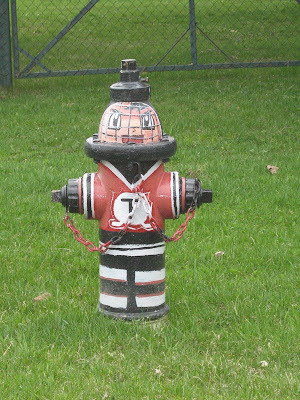 Apparently the local fire chief is less than pleased, as the fire department likes their hydrants looking uniform and easy to spot. 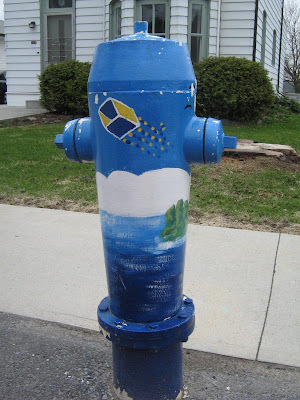 A good point I suppose but, speaking as a tourist to the town, I think they look great. 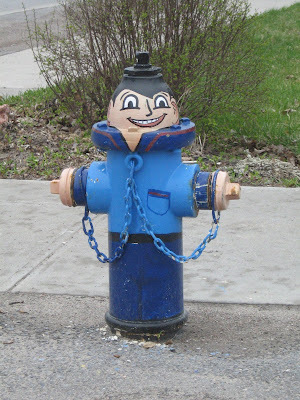 Bonus late addition! 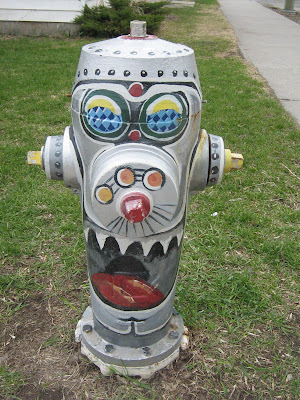 The Elvis Hydrant!